The nEUROn programme was launched in 2003. The main contract was notified to the prime contractor in 2006, the industrial partnership contracts were signed concurrently. The first flight of the technological demonstrator was completed on December 1, 2012, in Istres (France). The 100th sortie was recorded on the Feb 26, 2015. The release of a weapon from the internal bay was carried out on September 2, 2015.
air-to-surface weapon release from an internal bay. 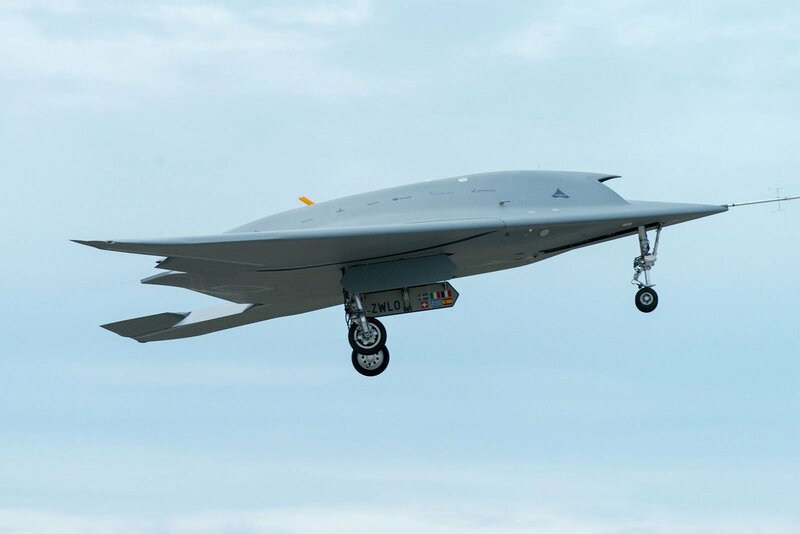 Following initial flights (December 2012), the nEUROn was transferred to the research center of the French defense procurement agency DGA in Bruz, near Rennes, to evaluate stealth performance. 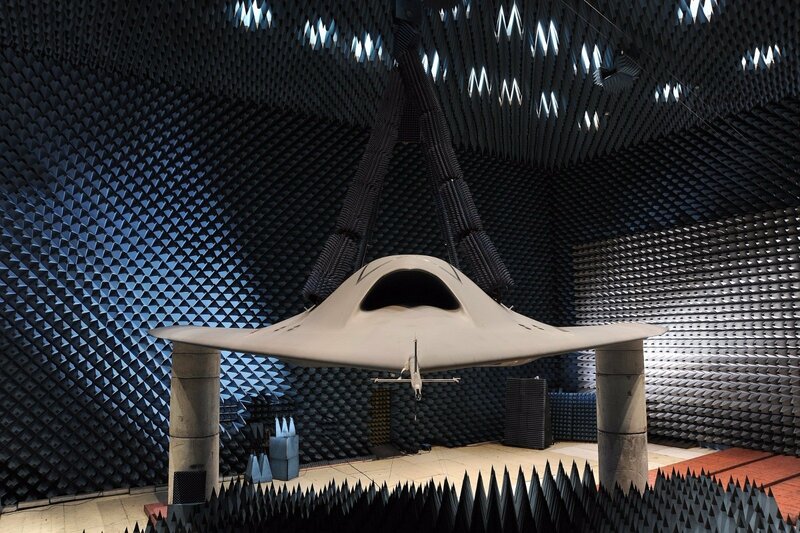 The campaign, which took place in an anechoic chamber, lasted until May 2013. Results were described as excellent. The nEUROn was displayed at the Paris Air Show in June 2013, where it attracted a lot of interest. Anechoic chamber tests of the nEUROn. In summer 2013, the nEUROn returned to Istres for the French test campaign. In the initial phase, the purpose of the tests was to open up the aircraft’s flight envelope (including with weapon bay doors open), to test the electro-optical sensor and to evaluate datalink performance. In the second phase, most of the flights were dedicated to signature/detection tests in the infrared and electromagnetic ranges using operational systems. The nEUROn was subsequently transferred to Italy (spring 2015), then Sweden (summer 2015) to be exposed to operational systems deployed by these two major program partners. A test launch of a 250kg bomb was successfully carried out on 2nd September 2015 in Sweden. During all these test campaigns, the nEUROn was operated by Dassault Aviation teams. The availability and reliability of the aircraft and associated equipment were outstanding. nEUROn on the NATO air force base, Decimomannu, Italy. All the expected results were achieved. Data and lessons learned relating to stealth will constitute a reference for future aircraft projects. This success demonstrates the competences of Dassault Aviation in strategic technologies and in prime contractorship, as well as its capacity to lead European cooperative programs. 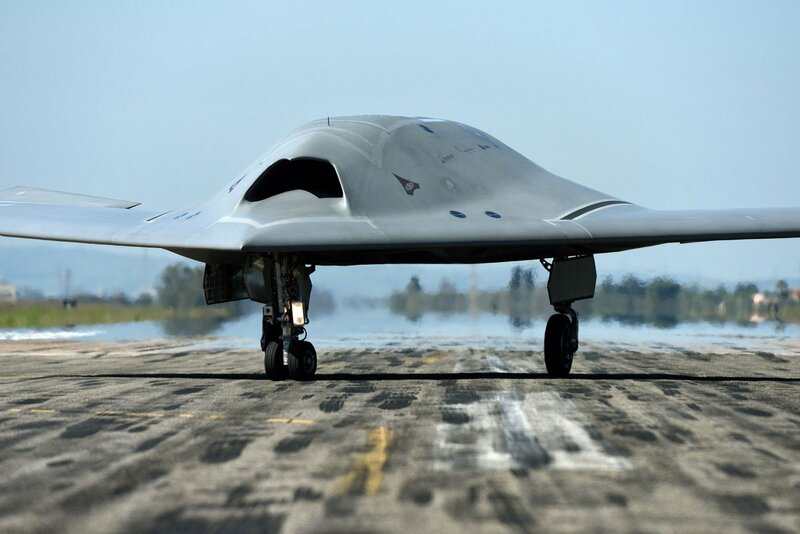 In May 2016, the DGA launched a new nEUROn flight test campaign in France to study the use of an unmanned combat air vehicle in a naval context. 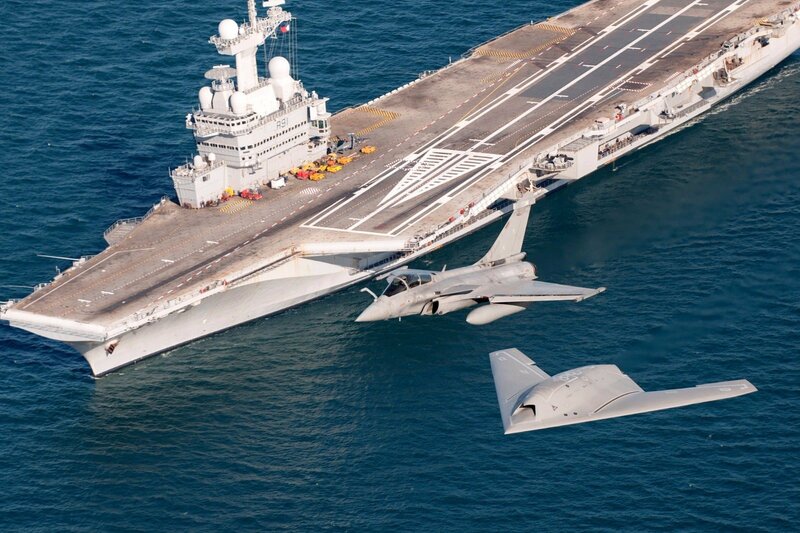 Tests at sea with the Charles de Gaulle aircraft carrier has been carried out. They have been followed by another campaign of electromagnetic signature measurements at the DGA’s Bruz center until early 2017.
nEUROn and Rafale M in flight over the Charles de Gaulle aircraft carrier.